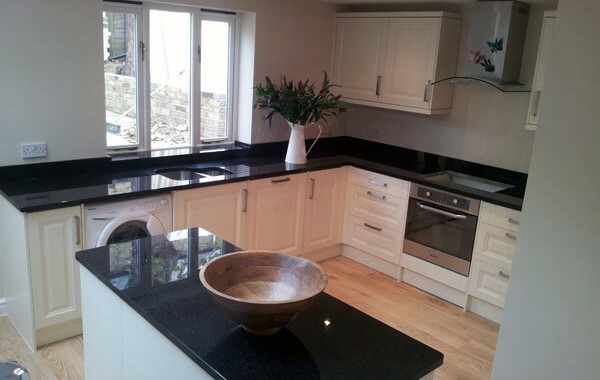 Granite Worktops | MG Granite Ltd. Granite is a natural stone, formed over millions of years and known for it's hard strength. In fact, the only thing harder than granite, are diamonds. Diamond tipped tools are used to cut the granite surface. As a surface, it has been used for kitchen worktops for years and has many advantages: it is very difficult to scratch or damage, they are resistant to stains and tolerant of high temperatures. The waterproof nature of a granite worktop makes it a long lasting and practical material. As a company, our commitment to the granite countertop is furthered by it's malleability. The granite slab can be cut to any shape, to suit your project. Easy to maintain and practical in every way, a granite worktop boasts longevity and beauty, guaranteed to give your kitchen a unique look. Granite kitchen worktops are obtained from blocks of natural stone extracted from the large quarries. The stone is cut into slabs with a thickness of 20 or 30mm. The stone then has a polish put on the surface. We then purchase the prepared stone, which is then cut according to the pattern designed by our professional templater. At this stage, the pieces of granite begin to look more like kitchen worktops and are taken to the polishing shed. If requested, hob and sink cut-outs are made, also adding draining grooves or recessed areas according to order. The edges are polished, and our product is ready to move. The granite worktop, is then set on special racks where it is prepared for transport. 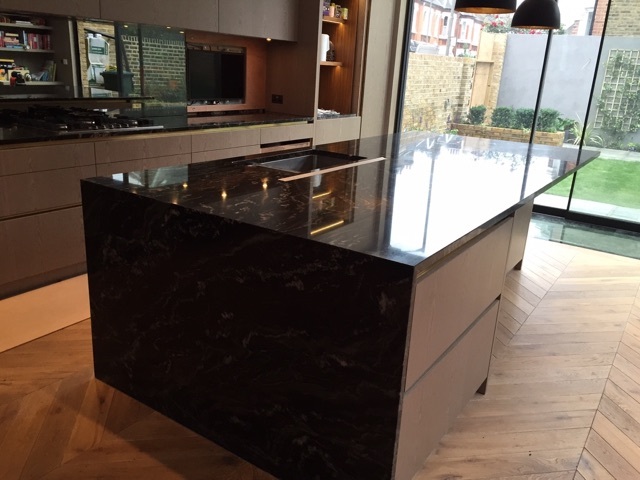 Kitchen worktops are supplied and installed by our professional team. We will transport the tops to your home, carry them into your kitchen, ensure they are level and then seal the joints and surfaces.